There are even more similarities with Promenada as the selection of food are very comparable. Only the wine list is definitely much richer and offers more variety at Embassy. 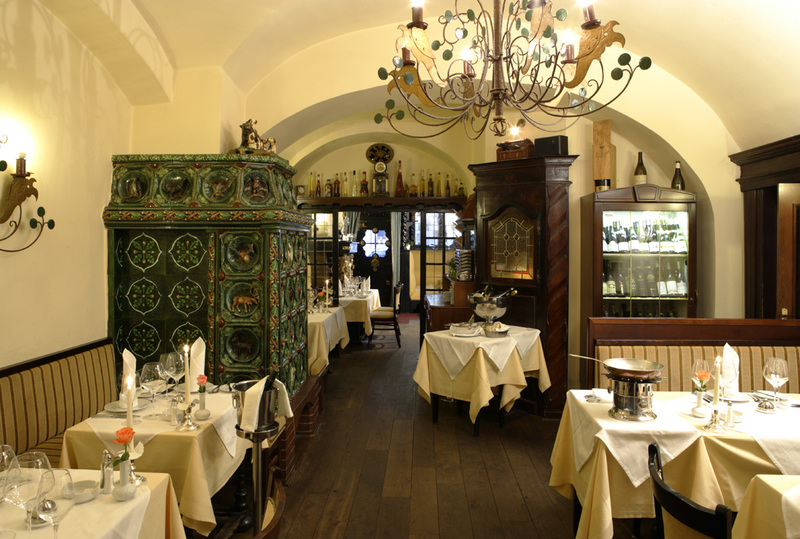 Foodwise is the same: high end Czech cuisine, some very basic dishes but also some rather exotic meals. Embassy is a little more conservative and traditionally furnitured and perhaps a bit choosier. Nice niches and corner tables invite you to a long evening together with good friends or good company. All dishes were rather without inspiration and boring. Not excellent, not bad either. 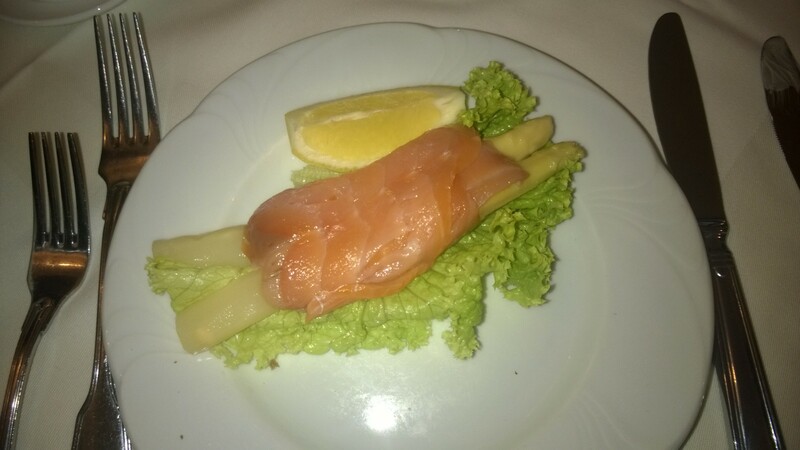 At the beginning you can choose some small morsels from a plate like pickled asparagus with salmon as on the pic. 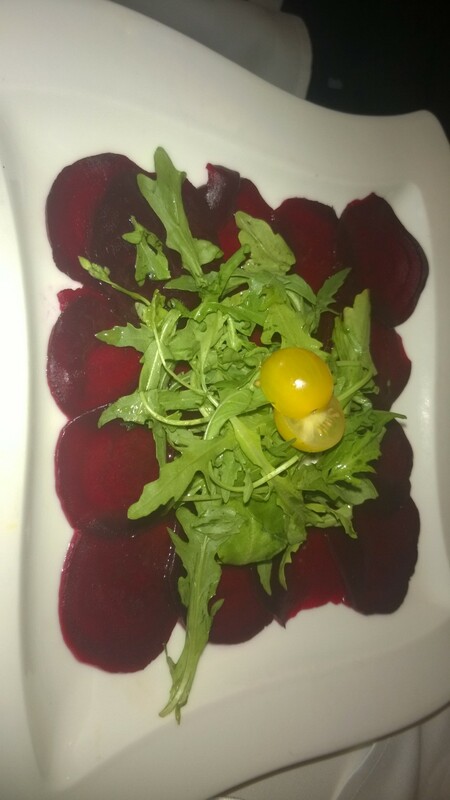 The beetroot carpaccio was smart, fresh and delicious. 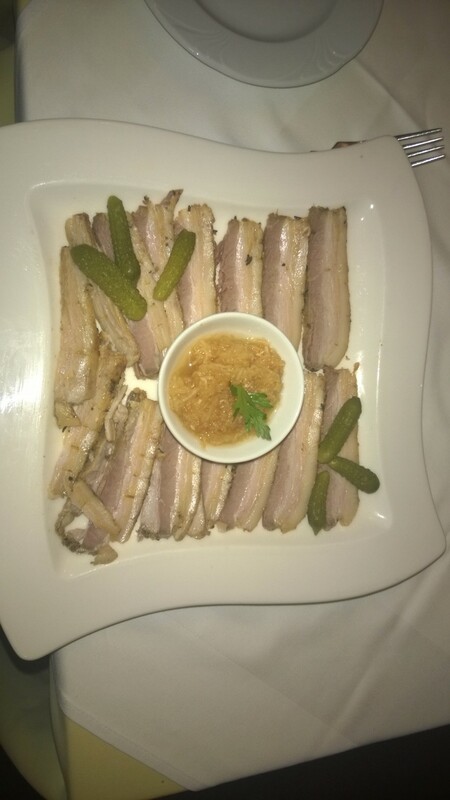 The by far best was the first boiled and little smokes flitch’s of pork belly. 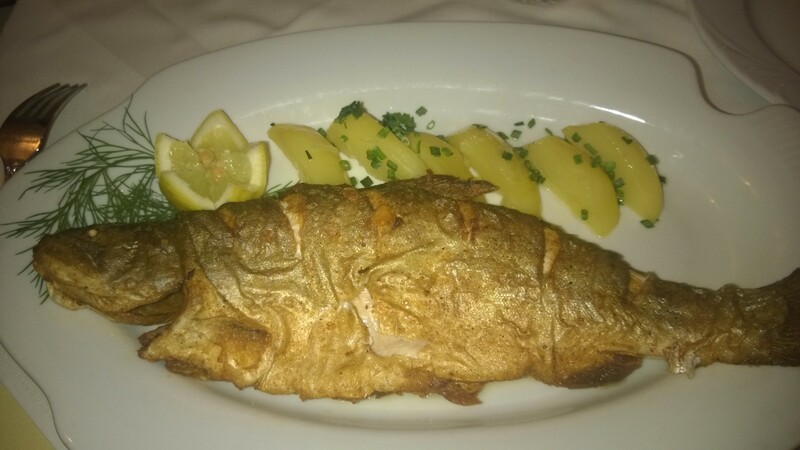 Trout was uninteresting, much to buttery and without some special flavor. Not to be misunderstood: I like basic food, it can be great and trout rather belongs to such kind of. But even so-called easy food can be prepared better than this one. 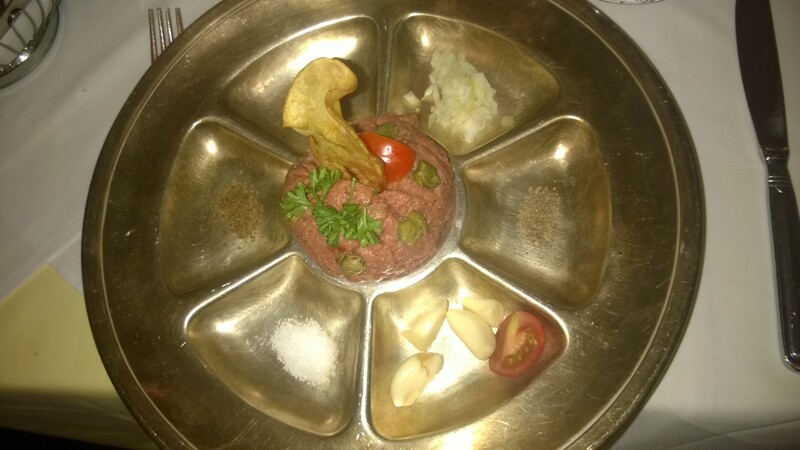 The chintziest thing I have seen since long is the way how they serve tartar. I guess even plates in some Czech prisons are more beautiful and appetizing than this cheap metal feeding bowl. The tartar itself wasn’t extra either. The service was very friendly and good, something consoling. If you consider there are may be even one or two more of such restaurants as Embassy and Promenada you would expect better food as there should be competition. But it seems the majority of visitors of Karlovy Vary put their attention to something different as perhaps the spa facilities, the beauty of some building and perhaps just the really good Czech beer. if you open the blog, there is on the right a sign which says “Following Wine and Food”. If you put it you should follow the instruction. Thank you very, very much in the your interest!